The top IT skills to master for a high-flying career are Big Data Skills, Data Science, Business Intelligence and ETL, Salesforce, SAP, Oracle Developer and Administrator, Cloud Computing, Artificial Intelligence, Python Developers, and Blockchain Developers. What new technology does is create new opportunities to do a job that customers want done – Tim O’Reilly. Technology is rapidly evolving, and new job opportunities are emerging at an unprecedented rate cutting across industry sectors. So, it pays to learn about the hottest tech skills that are needed to have a bright career prospect. Learn about the top seven tech skills that are in much demand today. Big data is everywhere and the career opportunities in this field are immense. For those who want to work with Big Data it is helpful if you are good at analytics, and at the same, if you have a creative bent of mind. You need to work with numbers a lot and hence having a mastery over mathematics and statistics will help you get ahead in your Big Data career. Enroll for the Big Data Hadoop Training Now! Some of the technologies that you need to gain considerable expertise in are Apache Hadoop, Spark, SQL, NoSQL, using statistical and quantitative analysis models, data visualization and ability to write flawless computer programs in C++, Java, Python, and other languages. The capital from Big Data Applications expected to grow from $5.3 billion in 2018 to $19.4 billion by the year 2026. The average salary for a Big Data analyst is $59,000 and $92,000 for Big Data scientists. Data science is the art of deriving meaning out of all that petabytes of data floating around in ether and elsewhere. As a data science professional your primary responsibility will be to create and design data models and applications that can be used by the business enterprises to scale revenues. Some of the skills that will come in handy are SAS, knowledge of R programming and ways of creating statistical models, Python language coding, working knowledge of SQL database and the ability to work with unstructured data which is more of a norm rather than an exception of Big Data. Learn about the most valuable Data Science skills in 2019. Data Science involves extracting a sense out of the data that you have collected and includes designing and developing data models. The average salary for a Data Scientist is $92,000. Data Scientists are expected to understand the patterns, hidden connections and complex variations of data. The job role involves creating and codifying models into working applications. Business Intelligence is another hot topic and with the right set of skills, you can grow tremendously in your career. 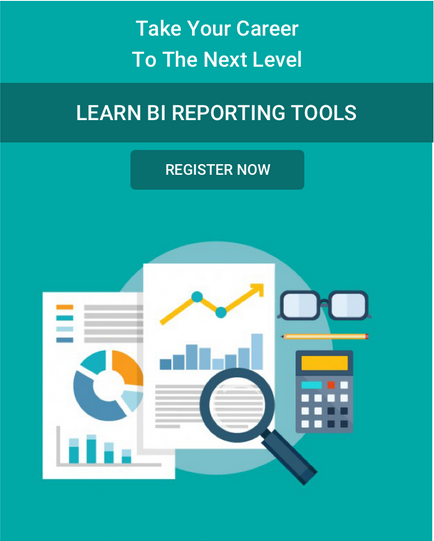 BI professionals need to understand the technical nuances of setting up and running the system, make sense of the business viewpoint and convert the business queries into analytical knowhow for rapid realization of the business solution. BI professionals are also supposed to understand and parse the results that they obtain so that the business strategies of the enterprise can be implemented. Get Trained in the best Business Intelligence and ETL Technologies Now! Working in the BI domain demands that professionals understand the concepts of data warehousing and data mining. You should be in a perfect position to collect, validate, combine and transfer data from multiple sources and store it for analysis and distribution. So, you should be having a firm understanding of the information analysis techniques and such other concepts. The average salary for a Business Intelligence professional in 2019 lies between $70,000 to $90,000 per year. Salesforce has been around for a while now and it is no wonders it is the most widely used CRM tool in the world trusted by some of the biggest corporations in the world. Get ahead with the Salesforce Training Course Now! Some of the hot job roles available are Salesforce Developer and Salesforce Administrator both of whom are well-versed in the CRM application from a technical standpoint. It is also possible to gain profound proficiency with the help of right training courses in order to be Salesforce Project Manager or Consultant. Having knowledge of the Salesforce security and being equipped with the right skills to avert security attacks is also highly sought-after. According to a survey conducted by IT recruitment firm Dice, Salesforce is one of the hottest trending skills that can help you bag over $100,000 per annum with the right skills. SAP professionals can be of varied kinds. Since there are so many products that come out regularly from the SAP stable that it would be wise to talk about them individually. These can include products like CRM, ERP (Enterprise Resource Planning), Supply Chain Management, Strategic Enterprise Management, Supplier Relationship Management and so on. The two important technical skills for an SAP professional are BASIS for administration and ABAP for development. Get a head start in your career with these SAP Training & Certification Courses! SAP HANA is relational database management platform that can be used for on-premise or cloud processing. It is used for deriving real-time analytics from various forms of data. It is used for text processing, graph processing and even streaming analytics. Learning about SAP HANA programming and administration can provide high-paying jobs. As per Indeed.com, SAP HANA professionals can earn an average of $149,139 of annual salary. Oracle is one of the biggest database management software companies today. There are various avenues that can provide you with very good job prospects with the right Oracle Certified Training. Some of the skills that you need are an understanding of various database structures, deploying Oracle database tools, working knowledge of Procedural Language & Structured Query Language including knowledge of DML (Data Manipulation Language), an in-depth familiarity of DBA Architecture, database modeling, various schema objects, and data recovery. Learn about the Oracle-based Technologies in these Training Courses Now! SQL is one of the most important programming languages in order to parse large volumes of data and with Oracle PL/SQL you can manage huge volumes of database applications with the Oracle tool. This can pave the way for a great career ahead. An Oracle developer earns an average of S60 per hour. By 2020 over a third of all data will pass through the cloud and this has huge implications for companies in the cloud computing domain. Having the right skills in cloud computing can help propel your career to the big league. As per a Forbes report, the average salary for a cloud computing professional is about $124,000. Learn about cloud computing in these Training Courses to stay ahead in your career! According to Forbes, having an in-depth knowledge of Linux, Virtualization and Java can help you take on the challenging role of a Cloud computing professional in today’s world. Some of the job roles that you can apply in the cloud computing domain are Enterprise Architect, Resource Planner, Data Analyst, Security Managers and so on. As per Gartner, in 2019 the public cloud services market is expected to grow by 17.33%. The most in demand and popular cloud computing skills are Amazon Web Services (AWS), Linux, Java, etc. The average salary of a cloud computing professional is $146,350. AWS has a wide spread market in the cloud industry. Businesses are rapidly changing with Artificial Intelligence (AI). Artificial Intelligence is a broad concept, where machines are designed to carry out a specific set of tasks in a smart way. Artificial Intelligence Engineers will take business automation to a next level, they directly deal with the optimization of business operations and practices. It reduces the manual effort drastically, makes the jobs less human-dependent, with quality and productive output. Learn about Artificial Intelligence now! There is a myth that Artificial Intelligence and Machine Learning are the same. Well, there is a difference, Machine Learning is an Application that is categorized under AI. It is meant to use all the available data and derives a sensible fact out of a specific set of data. According to a Forbes report, average annual salary of an AI professional is $111,118. Since 2013, the job opportunities for AI is increased by 4.5 times. From the programming perspective, Python certification remains the most sought-after skills required by developers. Python is an easy and simple programming language which reduces the developments time by almost 50 percent. It has all significant features like easy compilation, read syntax, it has more libraries supporting data analysis, visualization, and manipulation. Hence Python is considered as the must-know language for developers. Enroll for Python Certification Training Course today! As per Indeed.com, the average annual salary a Python developer can expect in the United States is $123,124. Most of the market leaders like Facebook, SlideShare, Quora, YouTube, Pinterest, Netflix, etc. have adopted Python as their programming language. The Blockchain technology is not just limited to cryptocurrencies, it has other potential uses such as it provides security, peer-to-peer payments, file storage, crowdfunding, digital voting, identity management, etc. The rapid growth of Blockchain technology has raised the demand for Blockchain Developers. Get a head start in your career with these Blockchain Certification Training Courses! As per Gartner’s Strategic Technologies, Blockchain stands on 7th position of trending technologies. Blockchain developers are highly paid, their average salary in the United States is $140,000. Get in touch with Intellipaat to get the best industry-recognized Training Courses! Download latest questions asked on IT Skills in top MNC's ? Hadoop online training – Understanding Hadoop in and out! Next What Are The Must-Have Skills For Hadoop Professionals?